Our class weaves its way around the stores before they open. Get your exercise & shopping done in one outing! 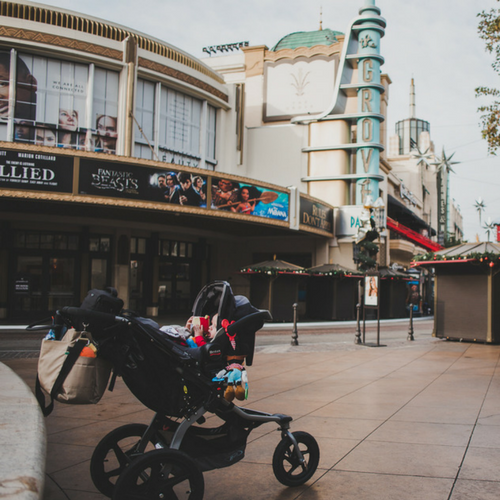 You don't have to have a jogging stroller to attend class, just make sure your stroller is sturdy and not prone to tipping. Bring a yoga mat & water and meet us in front of the fountain by the movie theater at The Grove.